Whether you visit Maryland.gov daily or once a year, My Maryland is the place for you to customize Maryland.gov. MyMARYLAND launches with its initial offering, the My Maryland Clipboard which allows you to save links on any Maryland.gov page to My Maryland. Even search results are clippable! We've also implemented a "suggested clips" feature which shows you top content relevant to where you are on the website. How should My Maryland work for you? MyMARYLAND is for you. This is why it's development and future will be solely dependent on Maryland.gov user's feedback and feature requests. We don't want to build something we think you want, but rather know you want. 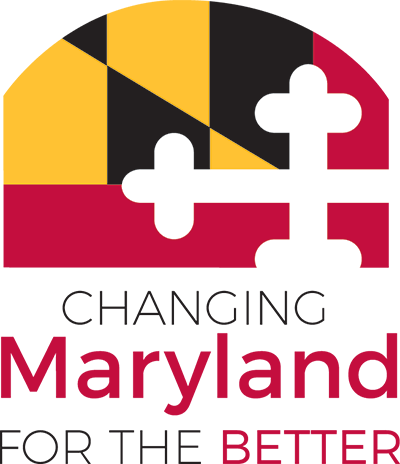 Submit your My Maryland feedback or feature request today! My Maryland runs completely within your web browser. When you use the feature, any data stored is stored within your web browser's local storage. This means your data never travels across the internet and always stays with you. This also means My Maryland is unique to each of your devices. Full WAI-ARIA support has been added to allow users of assistive technologies to navigate and operate all controls. For specific instructions on using My Maryland with assistive technologies, please jump to "How to use My Maryland with Assistive Technologies". Step 1: Hover over any text or image link on Maryland.gov. A small paper clip icon will appear above the link. Step 2: You can drag the paper clip, and then drop onto the My Maryland side panel to add this resource to the clipboard. If the My Maryland side panel is closed, it will open automatically. Alternatively, you can simply click the paper clip icon to immediately add it without dragging. Currently mobile/touch-enabled devices will automatically add text or image links you visit from Maryland.gov to your clipboard for when you return. This is also why My Maryland is disabled by default on mobile devices; allowing you, the user, to opt-in to this behavior (See "Enabling My Maryland"). Note: My Maryland is enabled by default on desktop browsers. To ENABLE My Maryland , open the My Maryland slide panel by clicking the paper clip icon in the upper right corner, and then simply click the large power button. Once the overlay fades away, an orange power button in the upper left corner will indicate it is enabled. Note: On mobile devices, My Maryland is disabled by default. This is because of the way in which clips are added differ between platforms (See "Adding Clips to the clipboard – Mobile/Touch Devices"). To disable My Maryland , click or tap the orange power button in the upper left corner. You will then see the overlay message shown above that My Maryland is disabled. To add the page you are currently visiting to your clipboard, open the clipboard slide panel, and then click/tap on the bookmark icon in the toolbar. This will add a clip to the current page on Maryland.gov. By default, the My Maryland panel is closed. To open the panel automatically every time you visit the portal, you can click/tap the padlock icon. It will turn orange to indicate it is locked. Now when you visit another page, or come back another time, the panel will open for you automatically. To remove all clips from your My Maryland clipboard, click/tap the trash can icon in the toolbar. You will be asked if you are sure you want to delete all clips. Click/tap yes to remove all of your clips. Note: This action cannot be undone. To remove a single clip, hover over the clip then click the red "x" icon. My Maryland fully implements the WAI-ARIA specification for allowing full access to controls and features. As you navigate through the component with assistive technologies, ARIA roles and instructions are read aloud. In addition to these spoken instructions, below are explicit instructions on how to use the My Maryland component with assistive technologies. To open My Maryland , use the keyboard Access Key M (Firefox: ALT + SHIFT + M, Internet Explorer: ALT + M + ENTER). To close, also use access key M. My Maryland will announce its open or closed state. As you tab through links within Maryland.gov, pressing SHIFT + ENTER will add a focused link to your MyMARYLAND clipboard. My Maryland will announce whether a clip was added. If no announcement was made, this link may not be clippable. Note: My Maryland is enabled by default on desktop browsers. To enable My Maryland , open the MyMARYLAND slide panel using access key M, Tabbing one time will focus the enable control. Press enter to enable. My Maryland will announce its enabled state. Note: On mobile devices, My Maryland is disabled by default. This is because of the way in which clips are added differ between platforms (See "Adding Clips to the clipboard – Mobile/Touch Devices"). To disable My Maryland, access My Maryland using access key M, then tab once to the "disable My Maryland " control button. Pressing Enter will disable the component. My Maryland will announce its disabled/enabled state. To add the page you are currently visiting to your clipboard, access MyMARYLAND using access key M, then tab twice to the "add current page" control button. Pressing Enter will add the current page to your clipboard. My Maryland will announce that the page was added successfully. By default, the My Maryland panel is closed. To open the panel automatically every time you visit the portal, access My Maryland using access key M, then tab three times to the "lock panel" control button. Pressing Enter will lock the panel open. My Maryland will announce that MyMARYLAND is now locked/unlocked. Now when you visit another page, or come back another time, the panel will open for you automatically. To remove all clips from your MyMARYLAND clipboard, access My Maryland using access key M, then tab four times to the "Delete all clips" control button. Pressing Enter will prompt if you are sure you want to delete all clips. Press ENTER or SPACEBAR to remove all of your clips. Note: This action cannot be undone. My Maryland will announce the removal of all clips. As you tab through your list of clips, pressing the DELETE key on your keyboard will delete the currently focused clip. You will be prompted if you're sure. Press ENTER or SPACEBAR to confirm. My Maryland will announce the deletion of the clip.